Having spend a happily creative afternoon making "the Patent Pheasant Keeper-Outer" I decided I wanted a similar structure on a larger scale as an arch to frame the garden path and to grow my sweet peas up. 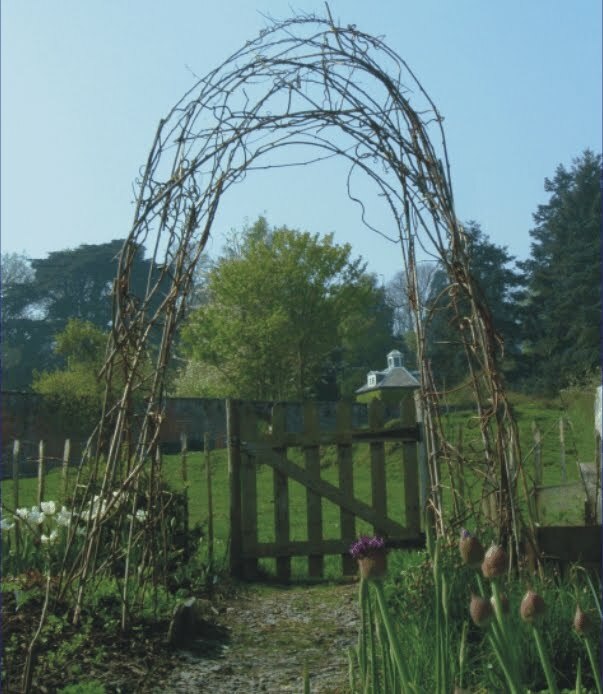 Having acquired a wonderful collection of contorted twigage from the Actinidia prunings I set about fashioning them into an elegant arch. And imagine my delight when since I built it I have watched the garden birds flit in and out and perch on its upper most curlicues.